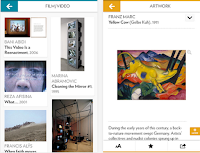 In today’s post we are revisiting some excellent websites and mobile apps you can use with your students to virtually explore some of the most reputed world museums. 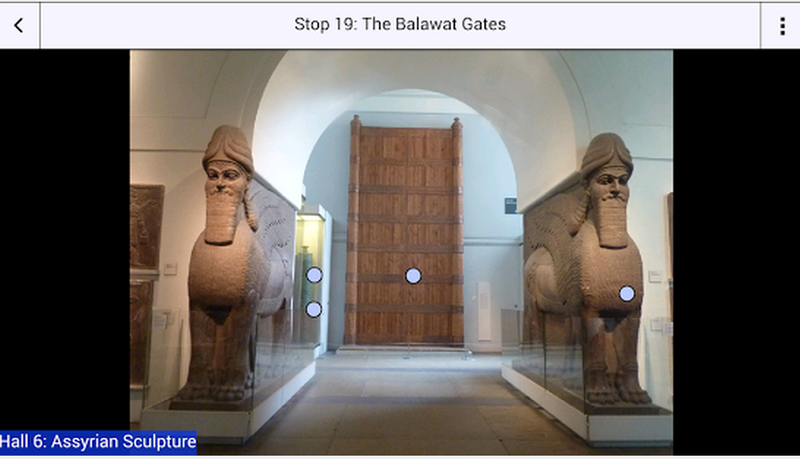 Most of these platforms include multimedia exhibition guides, maps, visual illustrations and guided tours to help visitors navigate their way around museums. 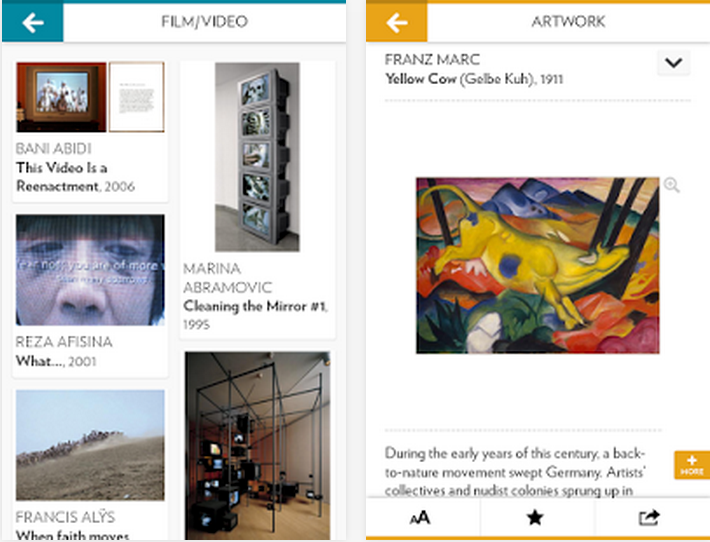 Explore splendid art works and exhibitions right from the comforts of your own couch! 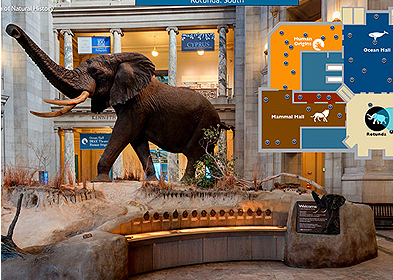 This comprehensive virtual tour allows visitors using a desktop computer (Windows, Mac, Linux) or a mobile device (iPhone, iPad, Android) to take a virtual, self-guided, room-by-room walking tour of the whole museum. 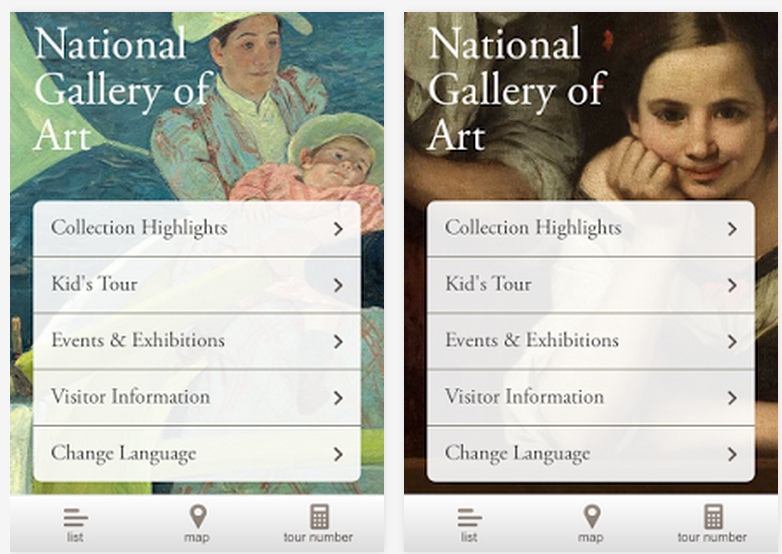 You can even browse a list of past exhibits, which is included on the ground floor map (see upper right map buttons). 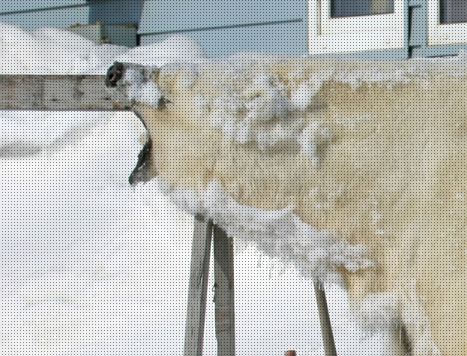 Free to the entire K-12 community, our programming use the allure of exciting Arctic dogsled expeditions and Arctic research as the vehicle through which K-12 teachers and students gain an understanding of natural and social sciences while we experience the cultures of the Arctic. Google Earth is a highly detailed 3D representation of our entire planet. Rather than just looking at it, why not play on it! 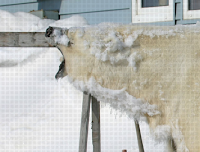 PlanetInAction.com brings you top quality ideas, applications and concepts that will let you experience your planet in a whole new way. 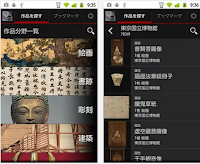 From the archaeological areas of Pompeii to the Hiroshima Peace Memorial, Google’s World Wonders Project aims to bring to life the wonders of the modern and ancient world. Eternal Egypt is a living record of a land rich in art and history, people and places, myths and religions. The stories of Eternal Egypt are told using the latest interactive technologies, high-resolution imagery, animations, virtual environments, remote cameras, three-dimensional models and more. These Sites present over 300 Museums, Exhibits, Points of Special Interest and Real-Time journeys which offer online multimedia guided tours on the Web. Most of the following offer text and pictures, others in addition transmit sound and an occasional movie. 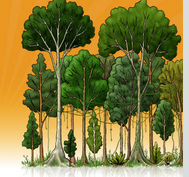 Experience a tropical rain forest and learn about the wonders of this incredible environment. 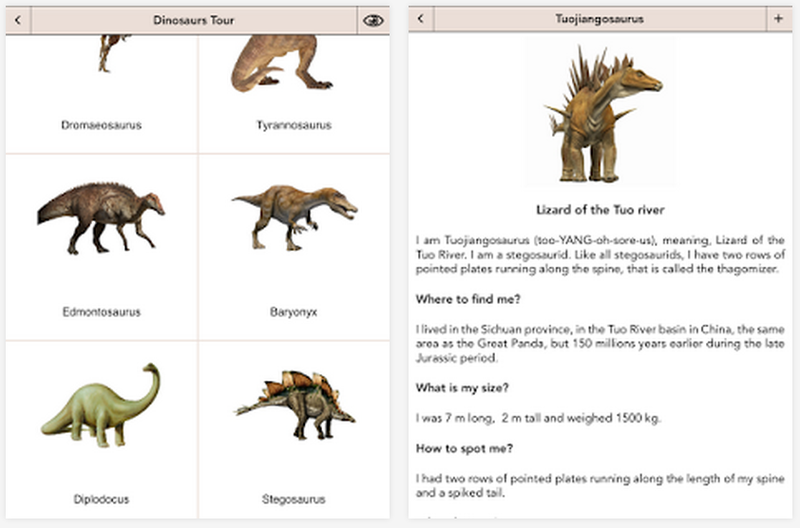 This website contain a great list of several other virtual field trips. Check them out. National Geographic presents a beautiful, award-winning interactive guide to 25 of America's most visited national parks. 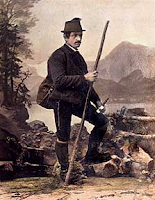 Included free are photo galleries, visitor information, and maps. 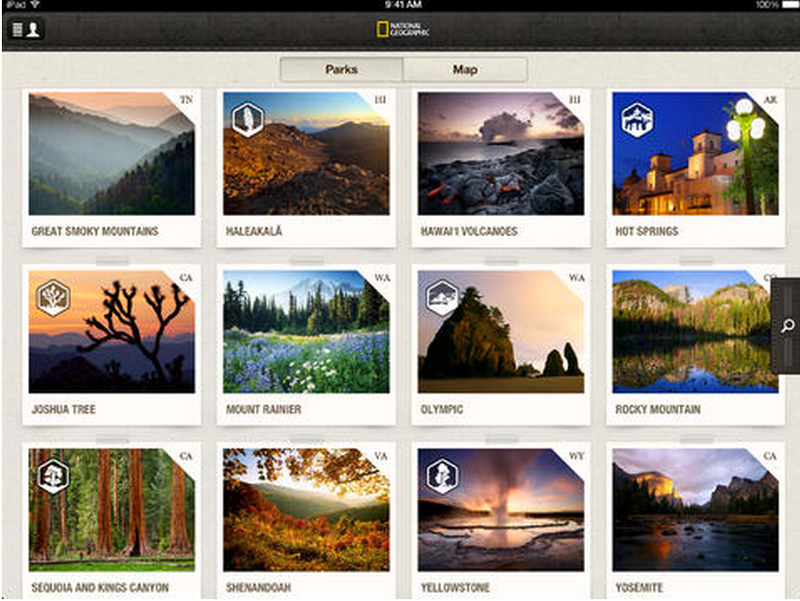 Purchase the full guides for an even richer experience—and explore the national parks like never before. How do objects end up in a museum? 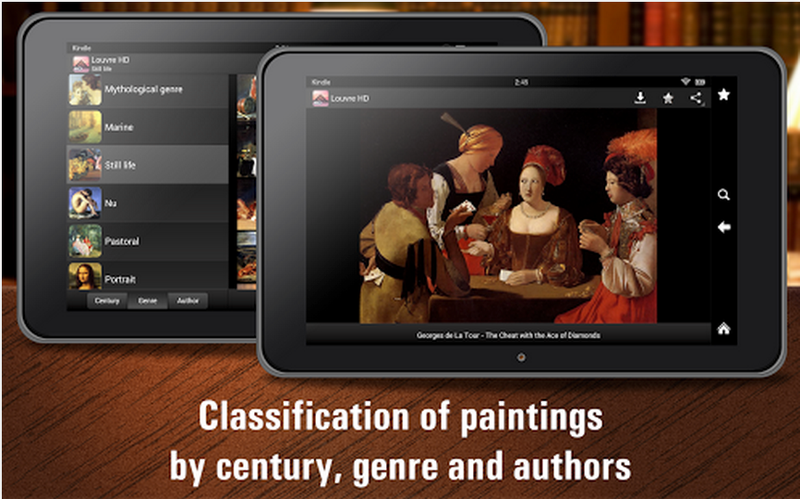 Discover the answer to that question from the artworks themselves in this app from the J. Paul Getty Museum. 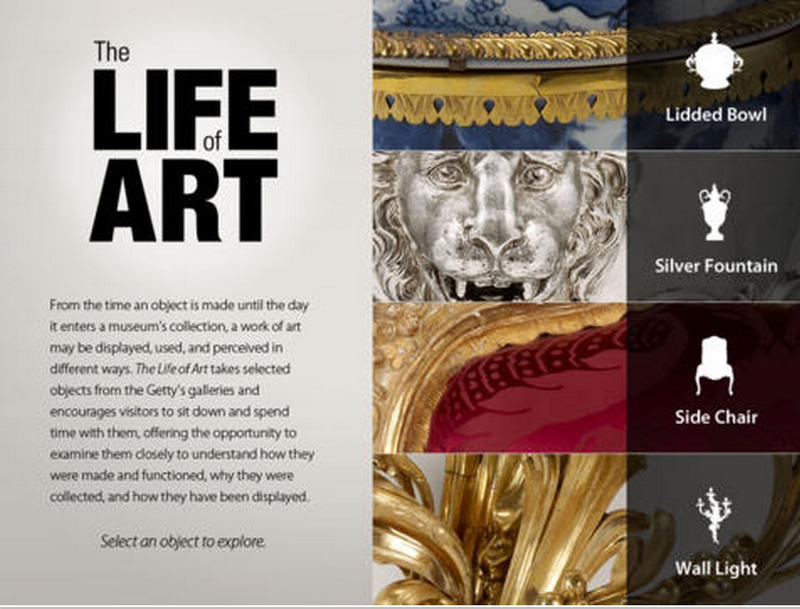 The Life of Art app enables users to retrace the lives of a lidded bowl, a silver fountain, a side chair, and a wall light in the Getty’s collection by examining physical clues. 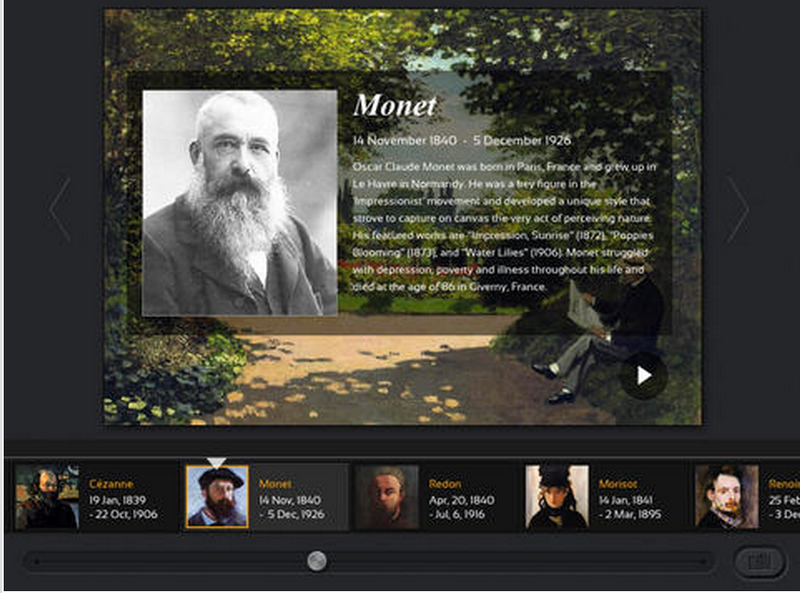 The interactive app features stunning photography, animations, video, and 360 rotations that bring the rich biographies of these objects to life. 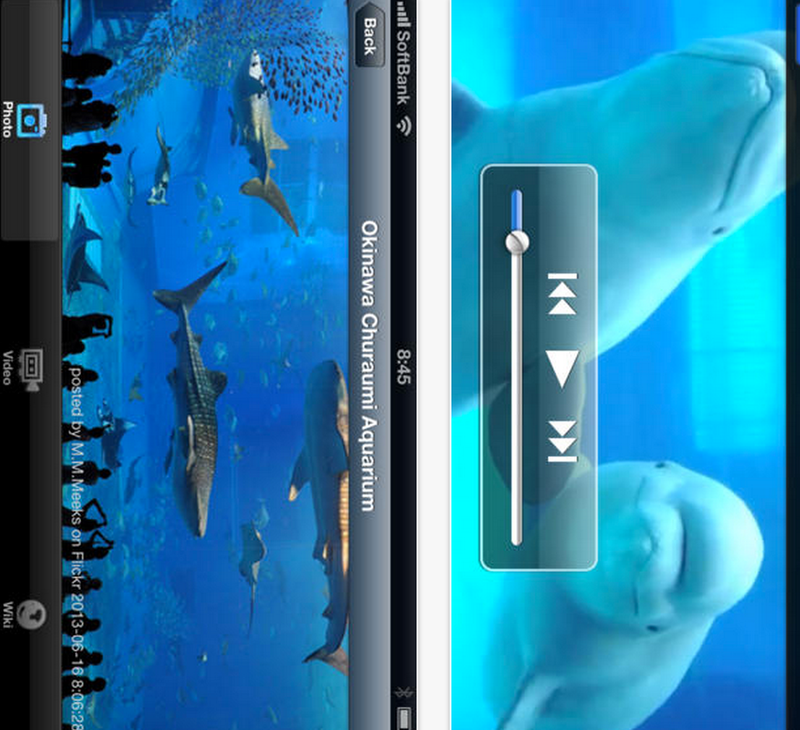 Immerse yourself in large amounts of video content from aquariums around the world! A virtual tour application that has compiled in excess of 50 famous aquariums from a variety of places such as the United States, Europe, Asia and Oceania. 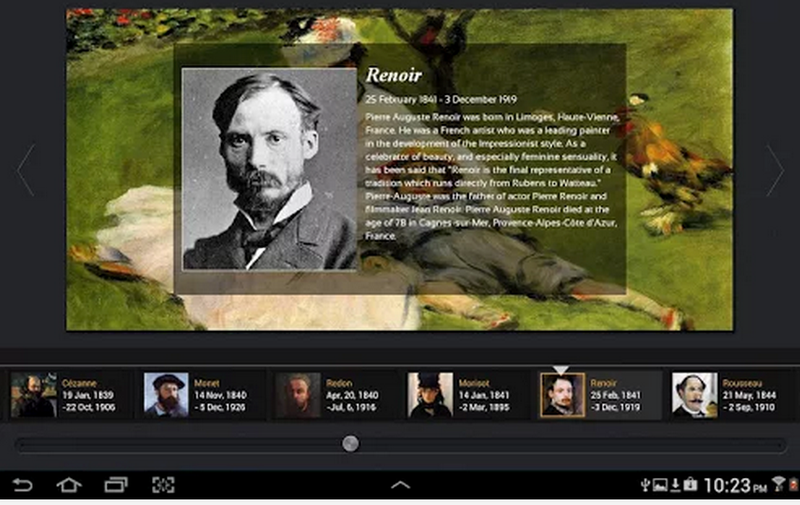 Timeline brings to life the paintings of such masters as Botticelli, Da Vinci, Micheclangelo, Van Gogh, Monet, Courbet, Klimt, and 73 others in an eye-catching and easy to navigate format. 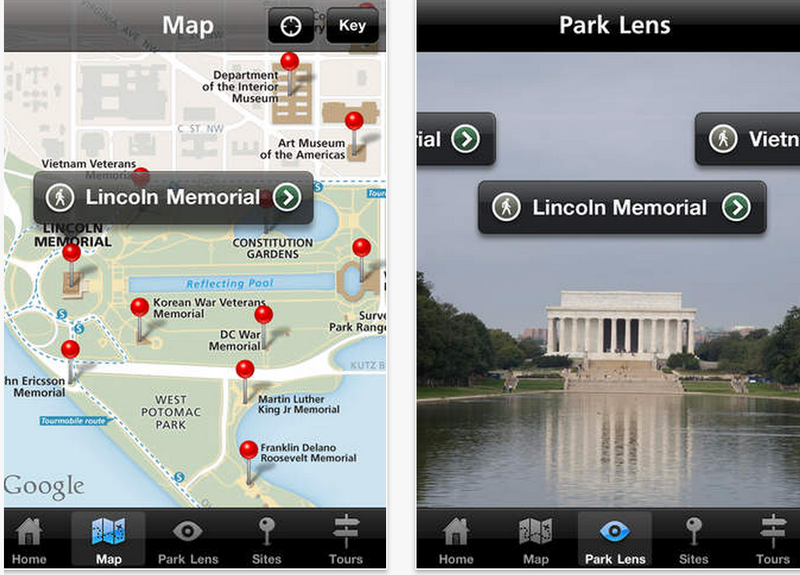 This is the official National Park Service app for the National Mall and Memorial Parks. On your next visit to Washington, D.C., use it to explore many of the most cherished cultural and historical sites in the United States—from the Lincoln Memorial to the White House.